Thanks to being part of the Bucharest Technology Week Community, we are happy to offer you invite you to DevTalks Bucharest. The latest tech innovations and trends are already part of our lives! Join an amazing line-up with great speakers and sessions, top IT companies, Fun & Networking Areas dedicated to the IT&C industry. 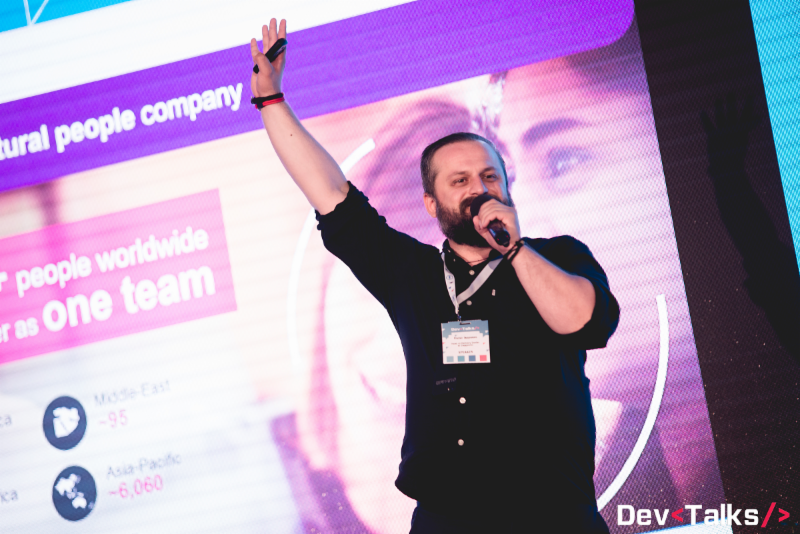 These are the last days when you can get your ticket for DevTalks Bucharest! Use the code BTWINVITE and you have 25%* discount for all the types of tickets. *Plus, if you invite your friends to register together with you, you can get an extra group discount (3-5 attendees -> 5% discount; 6-10 attendees -> 10% discount). Be part of the biggest buzz with 1500 developers, investors, CEOs or tech-savvy participants in just one place! Attend 7 conferences dedicated to all the technologies that impact our society and shape our future: Emerging Tech, Web & Mobile, DevOps, Automotive, Java, Big Data and Product Management. Get the chance to meet 80+ local and international speakers – CEOs, founders, leaders, Java Champions from SUA, United Kingdom, Hong Kong, Germany or Netherlands. Even the Expo Area represents an experience itself! Special designed with 30+ partners from the IT&C industry, this place will transform a simple booth in a coding area and will present the most innovative technologies from local IT companies. Register now with the BTWINVITE code to catch the last tickets available! See you on 8th of June, at Romexpo C1&C2. General Ledger with Hungarian in Bucharest ! Customer care with Dutch in Bucharest - Fast hirings !